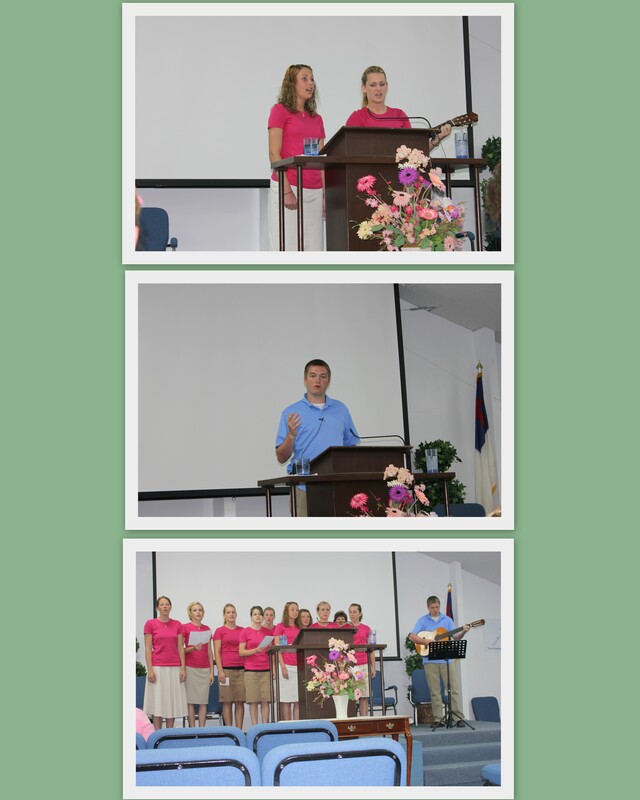 Coach Regina DeLozier and her team of 9 ladies from Maranatha Baptist Bible College shared special music with us and Matt George, husband of one of the players, preached. After our fellowship, the ladies gave a short testimony and answered questions about volleyball and MBBC. They are located in Watertown, Wisconsin. This entry was posted on November 9, 2011 at 1:48 pm and is filed under Uncategorized. You can follow any responses to this entry through the RSS 2.0 feed. You can leave a response, or trackback from your own site.